As the biggest and busiest day of the year for many small and local businesses, Small Business Saturday has grown exponentially over the years. Still, there’s an opportunity to make it even bigger. By registering as a Neighborhood Champion, you can enhance the impact of Small Business Saturday on your business and your community. Neighborhood Champions rally their communities in support of Small Business Saturday. Beyond preparing their own businesses for the big day, these advocates ready their fellow small businesses, local leaders, and shoppers. 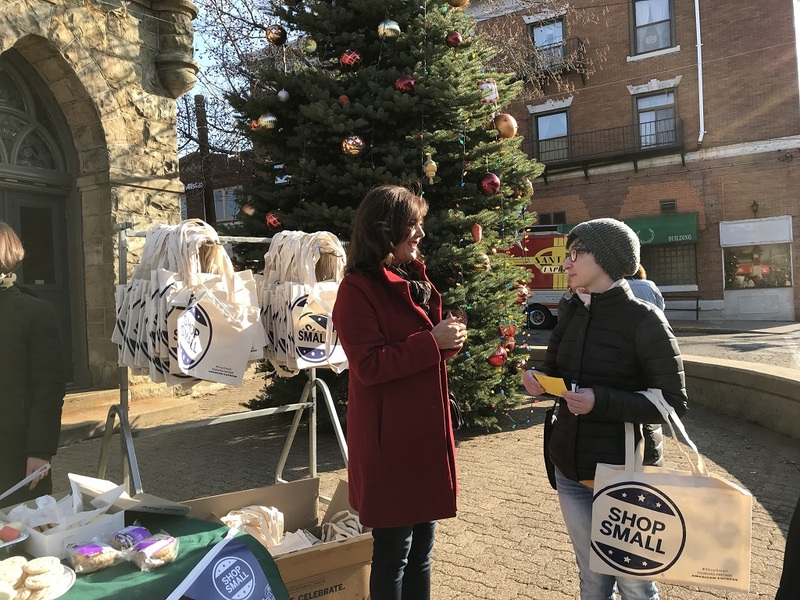 They spread the word about Small Business Saturday, organize community events, distribute promotional materials and connect with other businesses. They do all this with the support of American Express, which provides inspiration and resources for planning outreach and events. Each Neighborhood Champion receives a Small Business Saturday Event Kit, which includes free marketing resources like branded signage, bags, pens and balloons. American Express also keeps in touch with Neighborhood Champions by sending emails with event-planning tips, guides and ideas from seasoned Neighborhood Champions. Using these resources and their own passions for supporting the community, previous Neighborhood Champions have found innovative ways to rally their networks. In 2017, the Bellevue Initiative for Growth and Revitalization (BIGr) in Bellevue, Pennsylvania, compiled and distributed a Holiday Gift Guide to get shoppers thinking local for their holiday shopping. BIGr also set up a welcome center downtown on the big day to generate enthusiasm. There, BIGr team members passed out snacks, coupons and Small Business Saturday tote bags from American Express. Other suggestions from American Express include creating a Shop Small Passport that helps shoppers navigate Main Street and hosting a kickoff breakfast to get fellow small business owners fueled and ready for the big day. The work of a Neighborhood Champion makes Small Business Saturday matter more for communities across the country. On the biggest small business day of the year, give your community the boost it needs by applying to serve as a Neighborhood Champion. Read more about small business advice, Small Business Satruday.